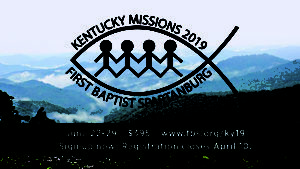 Kentucky is a missions experience for any of our students who are currently in 9th-12th Grade. 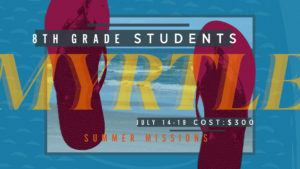 We will be leaving the morning of June 22nd and arriving back in Spartanburg on June 29th. During this week, our students are split into small groups to go out and lead Basketball Camps and VBS across all of Southeastern Kentucky! This is a week you do not want to miss! We are heading to Myrtle beach the week of July 14-19! We are partnering with SummerSalt Global and Mission Serve to help rebuild the homes and lives of those affected by Hurricane Florence and Hurricane Michael in Horry County. This is going to be an incredible week of serving alongside each other. This trip is ONLY for students who are currently in the 8th Grade. The Cost of the week is $300.00. Want to work with students and help disciple them? We’d love to have you on our team!